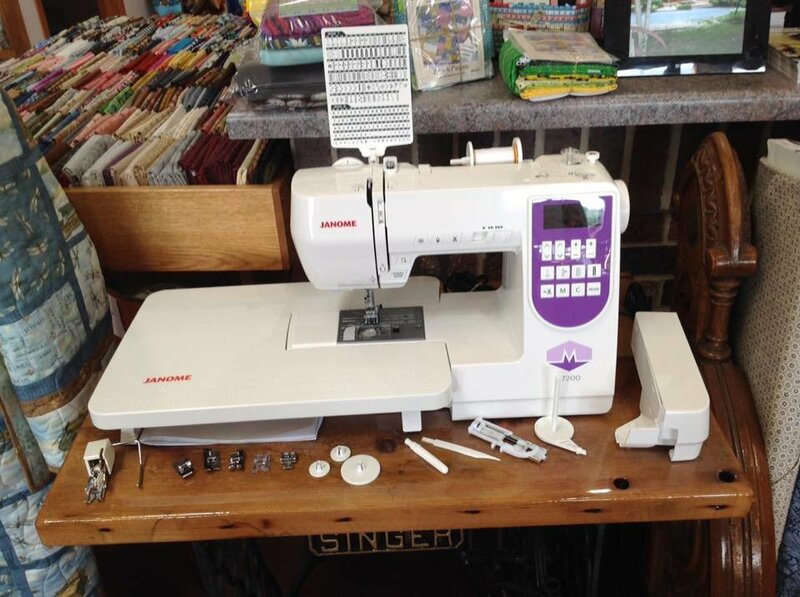 With summer on a downhill slide, get ready for some fall and winter sewing with a new machine! We have a sizzling deal on our Janome M7200. This machine comes with a table extension, walking foot, ¼ foot, 200 stitches including the alphabet and numbers, hardcover, and many other goodies. Call the shop for more information! We have many fun events coming up at the Quilt Peddler! We often hear of individuals interested in staying at our Log Cabin Retreat, but getting together and scheduling with six people can be difficult. To give everyone the opportunity to enjoy our peaceful retreat, we will be opening it up for individuals to sign up.The limit is 6, so call the shop to reserve your spot today! This is a chance for you to work on those unfinished or last minute projects. Bring your machine, projects, food for meals, and take advantage of our cabin in the woods. You are able to see pictures of the Log Cabin Retreat at The Quilt Peddler website.